Do you know what an ego booster testimonial is? It sounds good to Joe Smith. Heck, it sounds AMAZING to Joe Smith. But does it sell his stuff? Generally, no. Prospects read testimonials like that either think they’re written by a friend, or they simply have nothing to do with the product at hand. So how do you write a great testimonial? Use ego booster testimonials sparingly. If they’re the only ones you have right now, then they’ll have to do for now. But work on getting better testimonials that actually convert. Your audience is going to be putting themselves in the shoes of this person, and thinking they can get results like that, too. Which is exactly what you want, by the way. Got plain text testimonials? Add photos. A photo of a face – regardless of how pretty or not pretty it might be, can increase the likelihood of your testimonial being read by as much as 80%. Plus, it adds credibility that your testimonial is real. Add headers and footers to your video testimonials. Video testimonials are great, but… not everyone watches them. And of those who do watch, not everyone watches the whole thing. That last bit can be a link to a sales page or blog post, unless of course this testimonial is already on a sales page. Place links in any testimonial not on the sales page. Use your Amazon 5 star ratings. Use product pictures from your customers. Compare your product to others. But how do you get all these testimonials? Send out a survey to each of your product buyers to see what they thought. When you get back positive responses, ask if you can use them as testimonials. You might need to condense what they say – simply rewrite it without changing the meaning and get their okay on it. For the really enthusiastic customers, ask if they will do a recording for you. Testimonials aren’t hard but there is an art to them. And you have to continually be seeking out new testimonials to add to your site, to keep things fresh and current. 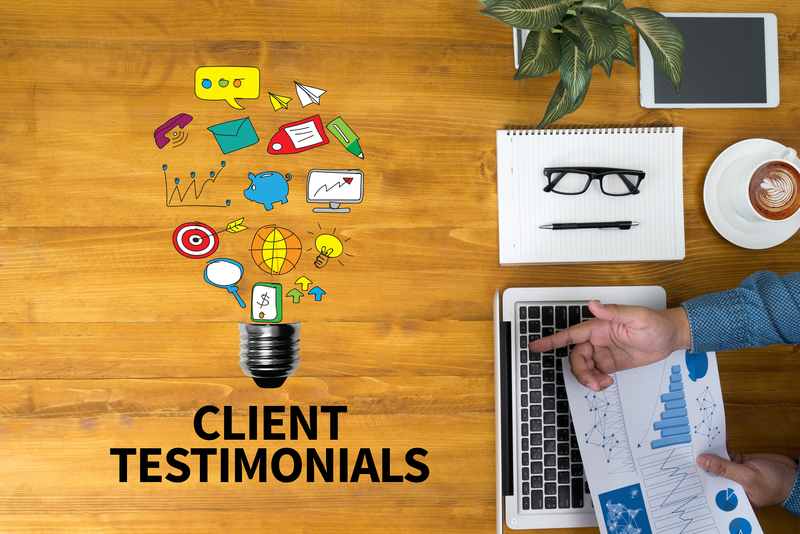 It’s worth the effort – testimonials almost invariably boost sales, so that testimonial you’re adding today could result in an extra sale a month, or even per week! 3 Marketing Lessons I Learned the Hard Way (You Can Make a Fortune with These)!